The rates shown for the Willow Bank are based on families or groups with a maximum of 7 people, usually up to 4 adults and three children (under 16). Other groups with a maximum of 7 people will be considered but the rental rate quoted may vary from the rates shown. Most vacation property owners use the services of cottage rental management agencies to book guests into their cottages. These agencies apply a booking fee on top of the rental rates being displayed on their websites. 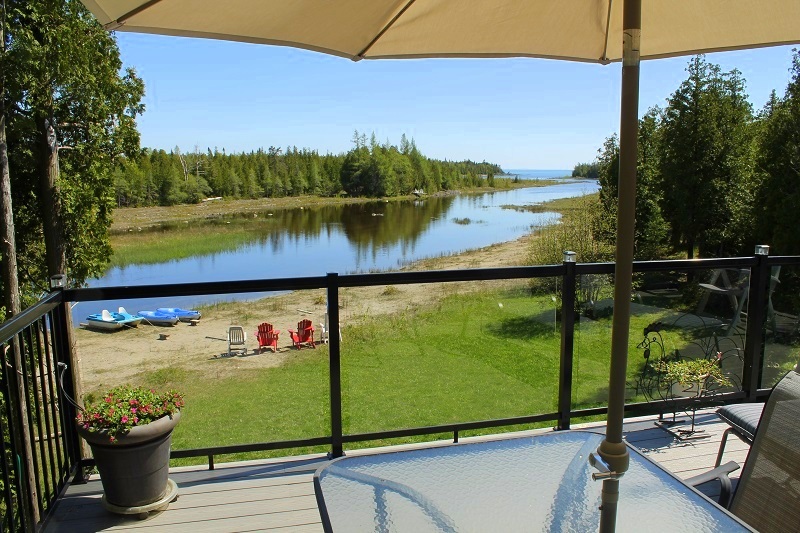 In addition, cottage rental management companies are required to charge guests a tax for their services. These booking fees and taxes can easily add an extra $150.00 to the rental rates being displayed on their websites. The owner of the Willow Bank cottage does not utilize the services of cottage rental management companies. Instead, the owner of the Willow Bank cottage self-manages the inquiry and booking process. This arrangement will save guests money since there are no management fees or taxes added to the advertised rates on this site. Clients booking the Willow Bank can make payments by cheque, Interac E-Transfers or via PayPal. Guests can also make payments using major credit cards when using PayPal. However, PayPal charges users a 3% fee to process payments and this transaction fee will be applied to the rate being displayed. These rates are estimates based on current exchange rates. You will be required to pay in Canadian $ and the rate that you pay will vary depending on the exchange rate that you receive at the time of payment. During the summer vacation period, (from mid-June until mid-September) the minimum stay at the Willow Bank cottage is 7 nights with all stays commencing and ending on a Saturday. Two and Three Day Weekend stays or mid-week stays of less than 7 nights are available during the Spring and Fall vacation periods. Linens for the king-sized bed will always be provided. Linens for the other beds and all towels will be the guest's responsibility to bring with them unless prior arrangements have been made with the cottage owner. Complimentary bed linens and towels will be provided for visitors traveling from overseas. Linens and towels can be provided for other families and groups for an additional fee. A post-vacation cottage cleaning service can be arranged for all groups for an additional fee. The owner of the Willow Bank works hard to ensure that every guest receives the highest level of customer service possible from their first email inquiry, through the booking process and during their vacation period at the cottage. One bathroom has a claw-foot tub and glass-door shower. Second bathroom has a glass-door shower.